Elephants are grazing/browsing animals that can live in open or closed woodland habitats. They are social animals that live in family groups led by a matriarch and where cooperation underpins social behaviours. They typically need to eat for around 13 hours per day and move about 12 kilometres per day depending on food availability. The Asian elephants’ main predator is the tiger which preys mostly on young elephants however increasingly humans prey on wild elephants for traditional medicine or occasionally for so-called sport. Elephants have good dichromatic vision with a rod-dominated retina which enables them to see well in low light conditions and at night time. Their sense of smell is extraordinary and reputed to be many times greater than a bloodhound’s. Their hearing is acute and far greater at higher and lower frequencies than the human ear. While elephants are commonly believed to have thick, insensitive skin the truth is otherwise. They can feel a fly on their skin and thus can respond to the lightest of pressures given by mahouts. In all likelihood, because they have a trunk that enables tool-use, elephants have evolved cognitive capacities for at least some degree of planning and forethought. This sets them apart from other grazing mammals in terms of higher mental processes. One study suggested that elephants are able to recognise themselves in a mirror which is thought to be one of the most high-level mental abilities. However, it needs to be mentioned that further research needs to be done in this area as that particular study was small (only 3 individuals) and scientifically tenuous (only one individual seemed to be able to do it). Nevertheless, there are many anecdotal accounts of elephants showing some impressive cognitive feats, particularly in a social setting. Elephant learning abilities are similar to those of other mammals – that is they are very good at operant and classical conditioning. For these reasons, elephants are able to be trained to accomplish some incredible behaviours such as estimating the correct place to pick up a log so that it is balanced in the trunk. Because elephants have been the subject of myth and folklore they have been traditionally treated in humanistic ways and expected to understand the demands of their human handlers. This leads to punishment and methods of training where the animal is rendered submissive. 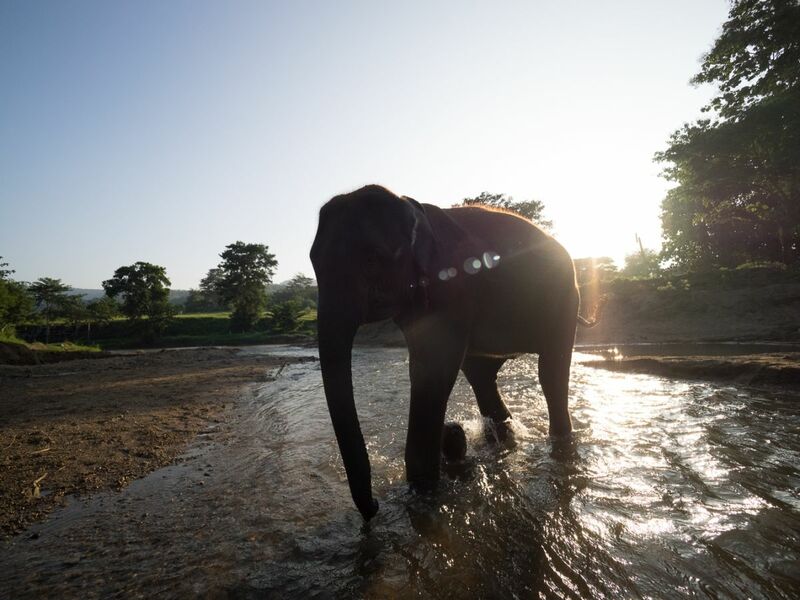 In these treatments, the animal is subjected to pain while it is tethered, usually for days until it fails to retaliate, and then it is dragged between two fully grown elephants and mounted by a mahout. This has led to aggression later in the animal’s life and it is not uncommon for the elephant to kill its mahout. This is thought to be akin to human PTSD (post-traumatic stress disorder).